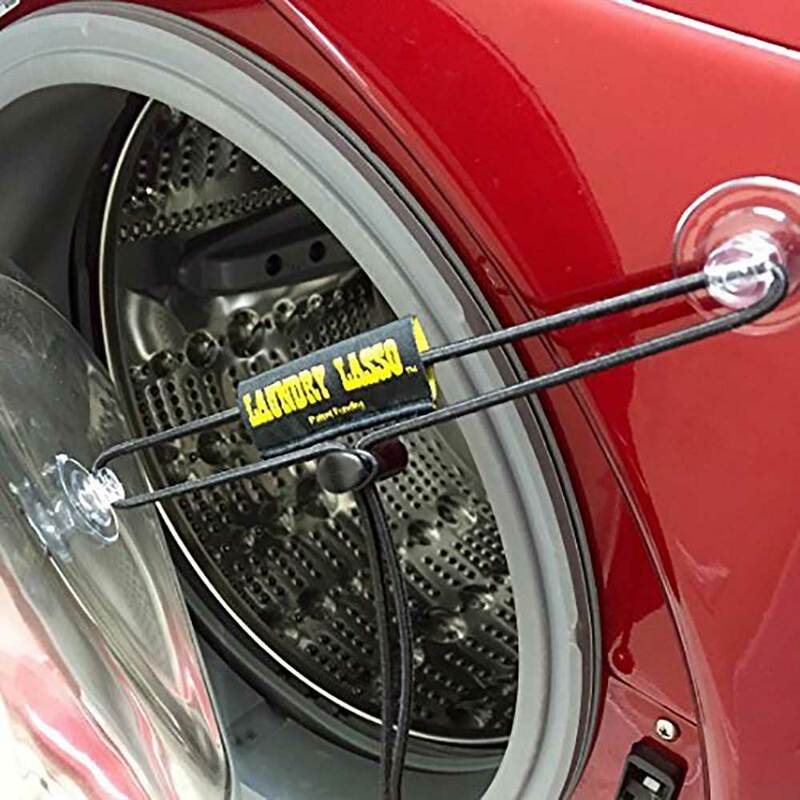 Keep your laundry room mildew free with the Laundry Lasso. Keeping your washer door propped open can be annoying with it flopping around. That way you never have to worry about having a moldy washing machine.